One evening before Christmas I was sitting at the kitchen table listening to my neighbours scream at each other while Coronation Street played in the background. I was painting a small rat skull with a thick layer of black conductive paint when I realised that while they would think me odd, I would never trade places with them. I have friends and family who prepared to boil up pigeon skulls and post me weird insects and I wouldn’t have it any other way. Which brings me to electroforming – the reason I was happily playing with vermin bones. The idea to try electroforming came to me at work after someone had shared a picture of a snapdragon pod which, upside down, looks like a little skull. 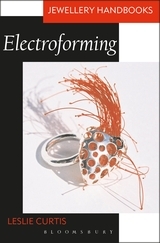 10 minutes of googling later and I knew I wanted to give electroforming a go. 30 minutes of googling later I realised I wanted nothing to do with silver electroforming as this would involve the use of Potassium cyanide and possibly result in hydrocyanic gas and explosive deposits. I can be cavalier with chemicals but even I balk at using cyanide in the kitchen! So copper it was, as it uses relatively benign mixture of sulphuric acid and copper sulphate, some copper wire and a bench power supply. There are good instructibles online or I’d recommend this book for anyone interested in giving it a go. I clearly have a lot to learn but I shall leave you with my first attempts at copper plating.